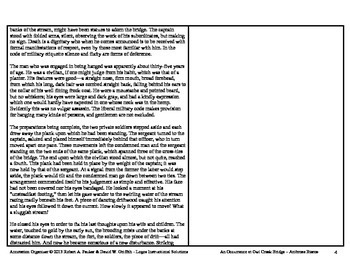 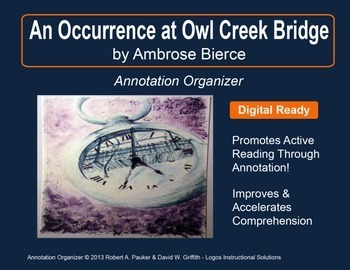 "An Occurrence at Owl Creek" by Ambrose Bierce is part of our Short Story Annotation Series designed to improve annotation skills, bolster reading comprehension, and cultivate literary appreciation. 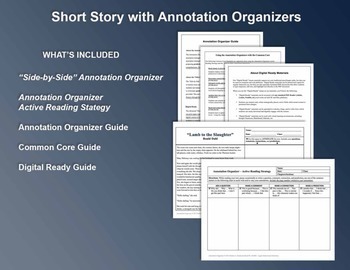 Our best-selling product with over 100 short story options at your fingertips for your students. 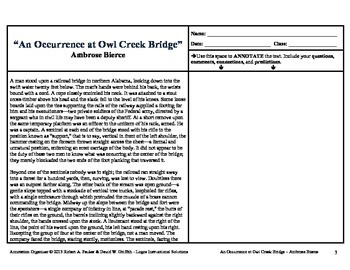 "An Occurrence at Owl Creek Bridge" by Ambrose Bierce is included.